Blog for Arizona: New Features! Blog for Arizona readers don’t come here for flash. You come here for wide-ranging political content that is not driven by advertising revenue. Today, we made a few upgrades to the site to facilitate finding the years worth of blog posts that reside here. At multiple events around town, activists sing the praises of Blog for Arizona‘s Community Calendar, which is maintained by Carolyn Classen, and of the AZ Blue Meanie’s Sunday morning Political Calendar. To make the Community Calendar more visible, we have added a list of upcoming events to the home page. The full Community Calendar still can be found by clicking on the calendar tab at the top of the home page. Additional Community stories can be found by clicking “Community” in the word cloud. Clicking “Political Calendar” in the word cloud, will take you to the AZ Blue Meanie’s Sunday posts. We also have added a Blog Post Calendar widget to the home page. This handy item helps readers find blog posts from a specific day– for example the popular political cartoons, also posted on Sunday mornings by the AZ Blue Meanie, or perhaps you want to see blog posts from election day, just click on the date. The VOTE! section has been updated, with links to the Arizona Legislature, Arizona House Membership, Arizona Senate Membership, Capitol TV Video feed and archives, and bill tracking. Now it’s easier to keep an eye on what’s happening in Phoenix. Last but not least, we welcome blogger Larry Bodine to Blog for Arizona. He has already written some block buster posts about the political races and the Koch Brothers Freedom School at the UA. He and education activist Linda Lyon are the two newest bloggers at BfAZ. Is the 11/13/17 DGT speaker the one who was postponed from last week or am I terribly confused? No, ASU Prof.Dr. David Garcia was scheduled for Monday Nov. 13 for quite a while. He’s the one running for Governor. Last week we heard Jim Love, LD 9 State Senate candidate who running against former House Rep. Victoria Steele for that open position (now that Steve Farley is also running for Governor in the Dem primary). I consult it regularly! You do great work. Thanks Georgia. I know you are a regular reader. anybody from the democratic minority community added to get their perspective? they will shortly be half the democratic party. Well, I’m an Asian Pacific Islander and used to work for Asian American U.S. Senator Dan Inouye from Hawaii. I try to post on minority, women, LGBTQ issues and events. 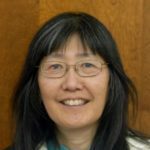 I’m the Editor of the Southern Arizona Japanese Cultural Coalition website (www.southernazjapan.org), and also a member of the Tucson Chinese Cultural Center. Thanks for the mention re: our Blog for Arizona calendar. I’ ve been working at it for 3.5 years and I like to believe that it is the “best political calendar” in Tucson and elsewhere in Arizona. Welcome to new blogger Larry Bodine. thanks Liza, my husband says I’m “obsessed” with the Calendar and so maybe I will cut back a little…if I can. Oh no, I enjoy seeing all the great things I am missing by not being in Tucson. Your calendar is what local tourism bureaus should use to get people to move to Tucson! ok, well I guess that I will have to continue then, esp. to attract tourists here. Actually I enjoy making sure that readers know about what’s happening in Tucson, and elsewhere.